As a homeowner, when you notice signs of a water leak in your home, you’re bound to worry. Where is the leak coming from? Should you call a contractor to fix it? If you pretend you didn’t see it, will it go away? (No, it won’t.) One of the biggest worries that homeowners have at the sight of water leaks is cost. 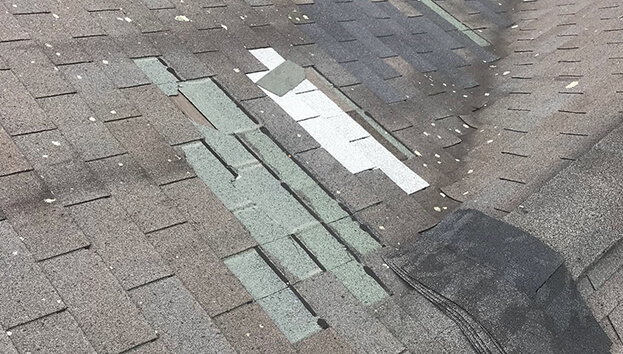 Some leaks may be easily fixed with a small roof repair, but others cause much more severe damage and need much more work. It’s helpful to know about the most costly water leaks that can occur in your home so you know what to expect when you begin repairs. Your roof is your home’s defense system. It’s built to keep the elements outside – but if you’re noticing signs of water damage, it means there’s a problem. Water leaks tend to come from penetrations in your roof, such as vents or around the flashing. It’s also possible that your shingles have been damaged by severe weather or are beginning to show signs of aging. If they are not coming from a penetration, then the alternative may be because there is no an easy drainage path. Often, the leak may not actually be coming from your roof at all! If it originates from your chimney, you’ll need a qualified mason to address the leak. Locating water leaks can be tricky because water doesn’t always flow in predictable ways. Often the wet spots on your ceiling are far away from the actual site of the leak; water may be flowing downpipes and through walls before eventually showing itself. The best way to identify the source of your water leak is to call a professional contractor. How much a water leak will cost you depends on the extent of the damage. How much damage did the leak cause within your home? How damaged is your roof? More damage is always going to mean higher repair costs. Often, water leaks occurring in two-story homes or three-deckers are the most costly, because the water can travel through the walls and cause damage throughout the home. A severely damaged roof may need significant repairs, or in some cases, it needs to be replaced. Every water leak is different, and there will be varying labor and repair costs. If your roof has only small amounts of damage, a repair may be quick, simple, and inexpensive. However, not all leaks are repairable. If your roof is old or severely damaged, a roof replacement may be in order. It’s important to remember that even problems that look small may be hiding a lot of damage. The danger in this hidden damage is that homeowners will often decide to repair the roof instead of replacing it, creating a temporary solution for a much bigger problem. The only way to know for sure how much work your roof will need and what the process will cost you is to talk to a certified roofing contractor. Don’t ignore leaks – contact On Top Roofing today. Our contractors will work with you to find the best solution for your roof.